Home » fall activities » Try Thanksgiving Activities for Families and Make More Memories to Be Thankful For! Try Thanksgiving Activities for Families and Make More Memories to Be Thankful For! Looking for something to do while the smell of turkey fills the whole house and all you can think about is eating? 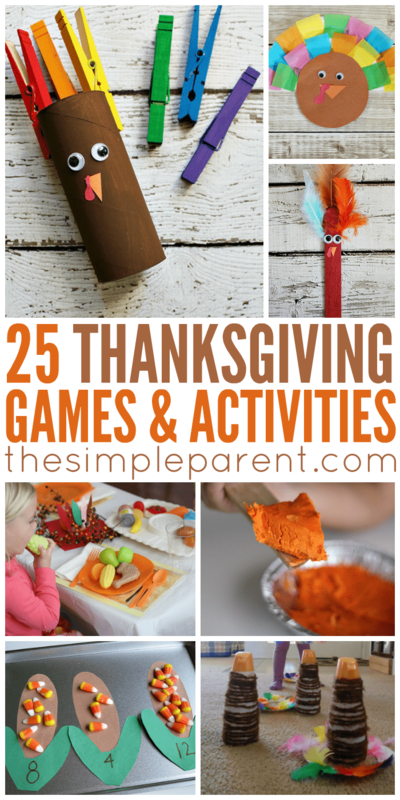 Keep your the kids (and your snacking hands) busy with some fun Thanksgiving activities for families! Sit down at the coffee table or on the floor of the living room while watching the parade or dog show and have some fun together with these games and activities! Of course, you don’t have to save these Thanksgiving activities for families until Thanksgiving day. They are tons of fun in the days leading up to the the big turkey dinner! If your family likes to read together, check out our list of favorite Thanksgiving books too! Thankful Turkey Book | B-Inspired, Mama! And don’t forget to check out our list of Thanksgiving books for preschoolers too. Play some games and do some Thanksgiving activities for families before sharing a story together! 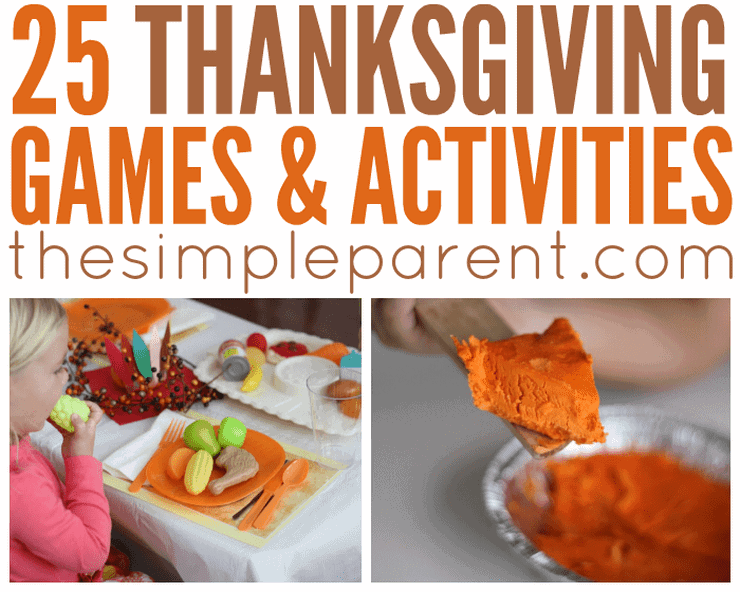 So many fun Thanksgiving traditions to share with your kids!